A child sick and starving. Dying every 10 minutes. A country at the point of no return. In Yemen, millions are trapped in the country, with no access to food, to medical support. The conflict that exploded in 2015 has left 22 million people in need of humanitarian assistance, 14 million at risk of starvation. Malnutrition and preventable diseases are claiming victims by the minute. Doctors of the World is working in the three most afflicted regions. The teams in Sana’a, Ibb, and Amanat Alasimah are running against the clock to save thousands the children, women and man of Yemen. You can help save lives by donating to our Yemen appeal now. A cholera outbreak is looming, cases of diphtheria have been recorded, and most of the health infrastructures have been destroyed in the conflict. 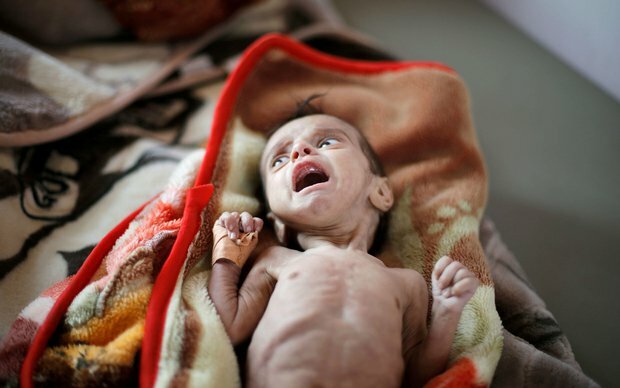 66,000 children die each year in Yemen from preventable diseases. Cholera, diphtheria, and above all starvation are treatable. Doctors of the World does not usually publish pictures of children and people in vulnerable circumstances in such a graphic manner. However, we need to respond to the media silence on the crisis in Yemen, and witness to the world the state of affairs in the country.